Shuji and Alison Yamazaki have been dealing in and educating about Japanese textiles in Australia since 1996. The grandson of a kimono maker, Shuji comes from Gunma in northern Japan. He and Alison established Wabi-Sabi Designs in her hometown Canberra in 1995 when they moved back to Australia after six years together in Japan. 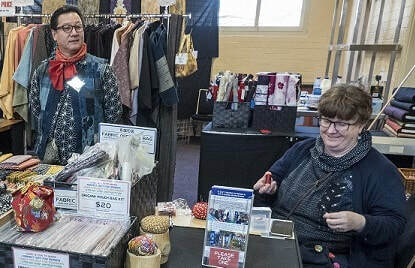 They wanted to share the beauty of genuine Japanese crafts and textiles with people here, and to encourage them to have a go themselves. 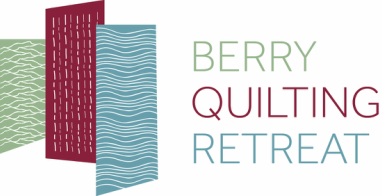 They love to share their deep knowledge of the methods behind beautiful dyed or embroidered silks, as well as traditional folk textiles. The name of their business references the Japanese aesthetic concept of wabi-sabi which can be translated as 'the beauty of imperfection' - it is the beauty of the handmade and handcrafted. 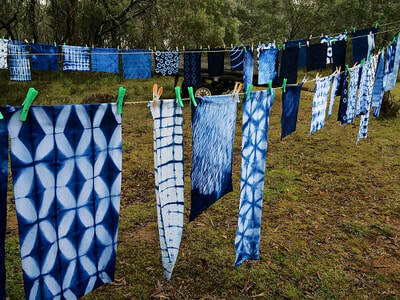 They teach workshops in Japanese stitching including boro with antique Japanese textiles and shibori dyeing using natural Japanese indigo. They delight in enabling people to discover and enjoy these rich traditional crafts in a creative individual way. 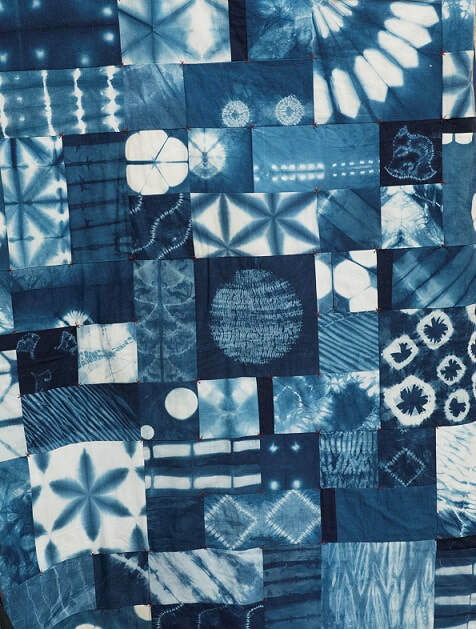 Learn a range of fundamental Shibori techniques for creating patterns in indigo dyeing. Have fun experimenting with clamping, tying, binding, twisting and stitching techniques to create your own fabrics using our vat of natural Japanese indigo dye.